Thinking about buying a gas RC truck, but you’re not sure which one is the best? With so many products on the market, this can be a difficult thing to figure out. For those who are new to gas powered RC trucks, knowing what to look for may be the first thing to figure out. 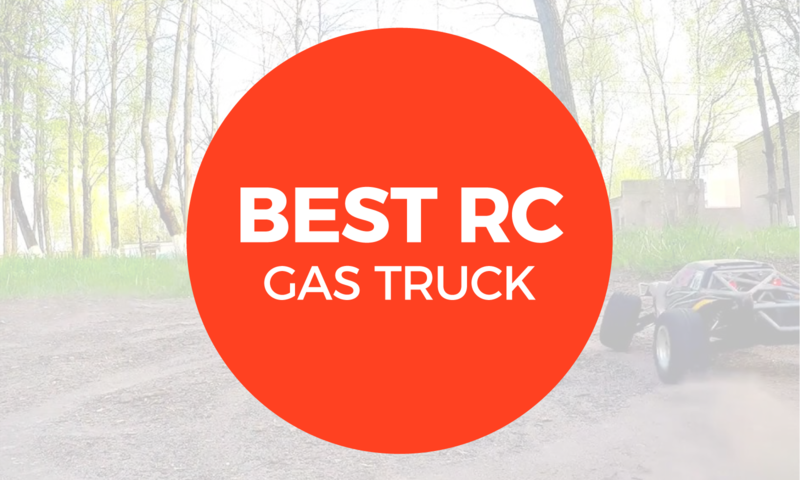 Here are our top four picks for the best RC Gas Truck. 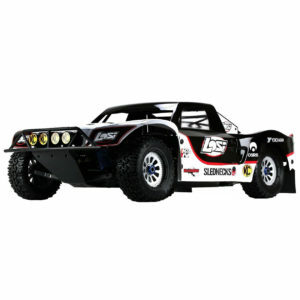 Check out the Best RC Gas Truck here! So, what exactly is a gas powered remote control truck and what makes it special? Next to their electric, or even nitro powered cousins, gas powered RC trucks tend to be bigger, louder, and more powerful machines. They can also be incredibly fast. But their durability is really what sets them apart. They generally can take a pretty good beating. 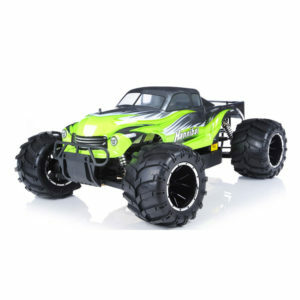 Those of us looking for a truck with versatility that can navigate through any terrain, gas RC’s are a very good choice. If it’s tearing up the terrain without having to stop at every obstacle, then a gas RC truck is definitely the best bet. The drive system is the drive power of the truck. This can vary, but generally, gas RC trucks have 4 Wheel Drive enabling them to stick an all-wheel landing after a jump. Now that we have an idea what to look for, here’s a list of the 4 Best Gas RC Trucks on the market. Each lists the specs we just went over as a reference guide for the future. A more thorough review of them is below. The Team Losi 5IVE-T is big, heavy, fast, and loud. Just what off-road racing and bashing is all about. Its 2-Stroke 29cc gas engine puts its considerable power to use behind its extra-large fuel tank holding 800ccs at a time. This means going longer and farther without worrying about running out of gas. It has 5mm Chassis, large-bore shock absorbers with 7mm shafts and a ¼ scale heavy-duty throttle servo. This makes it super strong and able to brake fast. The cooling fans attached to its sealed clutch mount keep the truck from overheating on extended treks. The Team Losi 5IVE-T SCT is built for impact. The off-road multiple piece beadlock wheels and impact-absorbing bumpers ensure its shocks are well-protected, and all four wheels stay solidly on the ground. Its design for realism. Built to mimic its real counterpart, this is about as accurate as a scaled-down replica can get. This truck was also designed for maneuverability. It’s easy to steer, and its throttle kicks in with reliable force. Even with its heftier price, the Team Losi 5IVE-T has earned its high rating. 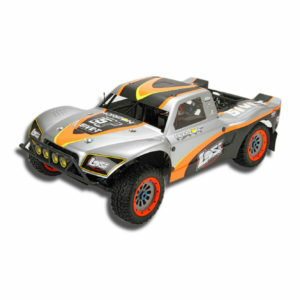 This gas RC Truck is a great investment that will last a long time. Well-suited for tougher, multi-terrain use, the Losi 5IVE-T will not disappoint. Another winner from Team Losi, the 5IVE-T Bind-N-Drive is massive and extremely durable. One of the biggest 4WD off-road racing trucks, it was made with winning in mind. Its receiver was designed around the award-winning 8IGHT platform, spectrum telemetry technology. It comes with a 6V 3000 mAh receiver battery and charger, giving extra control for tight off-road racing. Despite many beatings and strenuous use, this beast stays consistently strong. Rarely needing repairs beyond regular cleaning, it’s meant just to keep on going. Many users claim that it could last 45 minutes to one hour nonstop before running out of gas. One of the only negatives is that this RC Truck doesn’t come with a control. You have to buy it separately. On the plus side, this means users can choose which one they want themselves. Another negative is that the 5IVE-T Bind-N-Drive doesn’t go in reverse. If that’s an issue, there are upgrades that can help. At an already high price, additional modifications make the Bind-N-Drive one of the most expensive gas RC trucks around. However, with so few part replacements over the years, it’s likely the added expense is recouped. Less expensive models sometimes end up costing much more than a higher price tag does upfront. This long-lasting black beauty can save money in the long run, so it’s worth the investment. This truck will have you jumping for joy the second it arrives at your home. Its high-end fiberglass brakes make quick stops in high temperatures possible. And the extra-secure 24 screw wheel rim pre-assembly means tire and wheel stay connected at higher speeds. If you’re a monster truck lover, the Hannibal will bring on hours of jumping-off and bashing fun. The Redcat Racing MT V3 is a solid and formidable truck. With a 32ccHy gas engine and 700cc fuel tank hold, this fiery RC flame-thrower packs quite a significant punch. The over-sized air filter and adjustable camber and toe-in suspension give more control over steering this colossal beast. At 70 pounds, this truck can take a beating. The massive wheels it’s perched on will roll right on over just about anything. And its two quick-stop fiberglass brake pads are braced well for any sudden impact or unavoidable stops. If intimidation is what someone’s seeking, we may have found the beast. 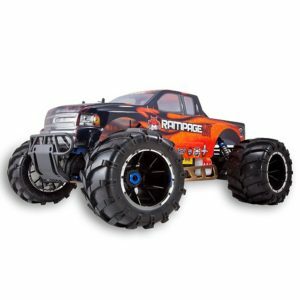 The least expensive truck on our list, the Redcat Rampage is a good choice for rolling over the competition on the track. I guarantee you, you will not be disappointed when you pull this monster out of the box. There are still plenty of other gas RC trucks to discover, but these four solid racers top the list. If you are new to off-road gas RC racing, there’s still much more to learn and explore. 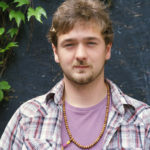 This is a good starting place for what to consider. In our opinion, if you have a large budget, you can’t go wrong with the Losi 5IVE-T. While the price may shock you initially, the Losi 5IVE T AVC is just about as good as it gets. Get behind the control of this truck and you’ll pee your pants with excitement. However, if you are on a budget and still are looking for a beast, then consider getting the Redcat Racing MT V3 and bashing the heck out of it. Happy hunting for that perfect racer. Hopefully, this leads to a lifetime of enjoyment racing gas powered RC trucks with family and friends. I will get the LOSI 5-T some day.